2. It is necessary to try channeling commitments to activism by starting with the actual potential of each sector, and even of each person, that is willing to commit themselves to the struggle, without seeking to homogenize these actors. It is important to have a special sensibility towards finding all those points of agreement that can allow for the emergence of a common platform of struggle. 3. This respect for differences should also reflect itself in our discourse. We must break from the old style of attempting to take a uniform message to people with very different interests. We cannot think of them as an amorphous mass; what exists are individuals, men and women who live in different places, who do different things and who are under different ideological influences. Our message has to adopt flexible forms in order to be able to reach these real men and women. 4. When all our speeches and messages are cut from the same cloth and are transmitted in the same manner and with the same words, pronounced in the same tone and through the same megaphone, and when the years go by and the posters and slogans don’t change, our words lose their value. They can no longer win the imaginations of anyone. 5. We have to individualize the message, but without losing sight of the common goals. 6. I believe this issue can help shed light on the issue of the crisis of activism. Furthermore, everyone knows that over the last few years, a fairly generalized crisis of activism has occurred, not only among left parties but also in the social movements and grassroots communities influenced by liberation theology. This is something that can be explained by the changes that the world has suffered. Nevertheless, in many of our countries, together with this crisis of activism, we have witnessed a parallel increase in the influence of the left in society, and an increase of progressive sentiments among popular sectors. 7. This leads us to the conclusion that one of the factors present in the origins of this crisis of activism is the type of demands placed upon people in order for them to be able to involve themselves in organized political activity. We have to examine whether the left has been able to open up avenues for activism and help nurture that growing progressive sentiment in society, because not all people have the same activist vocation nor do they all feel inclined to be active on a permanent level. This fluctuates a lot depending on the political climate of the day. To ignore this, and demand a uniform level of activism, is self-limiting and weakens the political organization. 8. For example, there are those who are willing to be active over a specific issue: health, education, culture, and not within a local branch in their workplace or community. There are others who only feel the need to be active at certain conjunctures (elections, etc.) but are not willing to do so all year round, even though during key moments of the political struggle you can always count on them to be there, and in their daily lives they are promoting the left’s project and values. 9. To try to pigeonhole people who are willing to be active into a single norm which is the same for everyone, based on 24-hours-a-day/seven-days-a-week level of activism, means excluding all these potential activists. 10. We have to create a type of organization that can house the widest range of militants, allowing for diverse levels of membership. Organic structures have to abandon their rigidity and become more flexible in order to make the most of the different levels of activist commitment, without establishing a hierarchy between these different levels. 11. 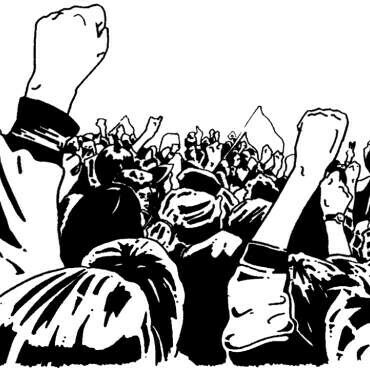 To facilitate the different levels of activism, it is necessary to adapt the structures and grassroots units of the organization to suit the character of the surroundings in which their political activities are carried out. This is the ninth in a series of twelve articles that were first published in 2004 and have been updated and revised for publication in a second edition the pamphlet Ideas for the struggle.